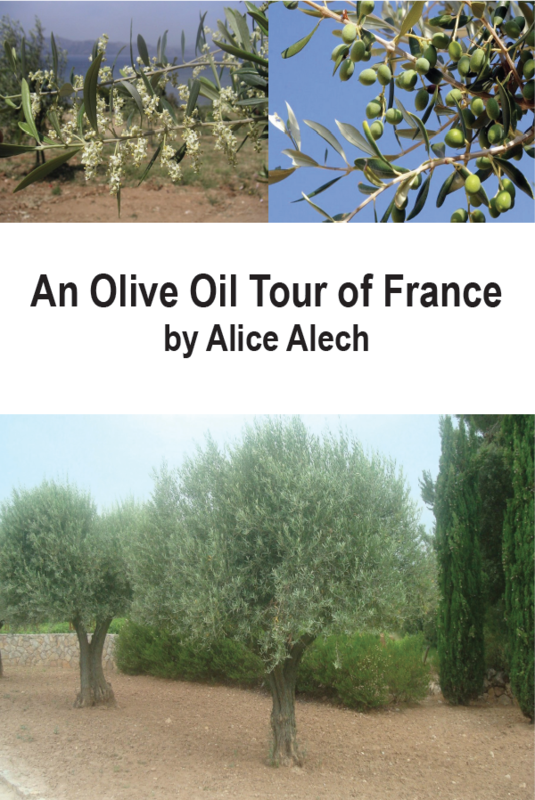 Welcome to ‘France et Moi’ where this week I’m talking to Alice Alech, author of An Olive Oil Tour of France , about what France means to her. 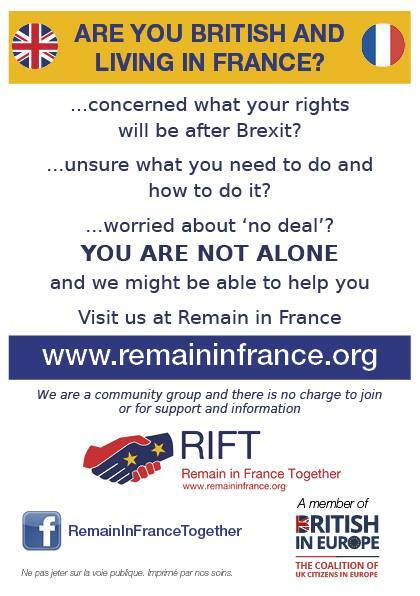 Alice, who considers Provence home, has lived off and on in France for a number of years only leaving to follow her husband on his foreign affairs posts. Alice writes non-fiction and especially likes researching her projects and getting people to open up and talk about their passion. You can read my review of her book here. Alice: For me it’s all about the diversity and the sheer abundance of French culture. Each region with its own food specialty, its own architecture – churches, monasteries and world class museums. There’s so much to discover, so much to learn, I guess that’s why France is the number one tourist destination. Alice: I spoke hardly any French when I first arrived in Paris; everyone, it seemed, was in a hurry with little patience for poor me; but then one day while gazing at the tv screen, it happened -- for the first time, I got the gist of the news. I still remember downing two gin and tonics one after the other, such was my joy. The scariest? 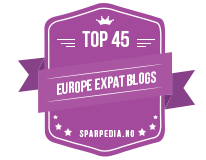 Going through divorce procedures in a foreign country within one year of marriage – now that’s another story. 3) Every region in France has it’s own culinary specialty, do you have a favourite regional dish? Alice: No, I don’t. I love it all, especially when made with a good dollop of olive oil that which makes Provencal cuisine so special, so healthy. 4) France has many different cheeses, a silly question, but which French cheese are you? A hard and mature Tome, a soft, fresh and lively goat cheese, the creamy and rich Camembert or maybe the salty and serious Roquefort? Alice: Tome or Tomme de Savoie, despite the hard thick exterior, the cheese itself is tender, smooth and earthy. 5) Where did your love of olive oil start? Alice: When I started writing for an American on line journal covering olive oil news, reviews and olive oil stories in France. On one of my first interviews I was taught how to taste olive oil from a lovely producer in the Var, my department. He was patient, understanding and passionate about his oil. I wanted to know more. 6) If you could choose just two accompaniments to olive oil what would they be and how would you serve them? Alice: More than anything, I learnt that olive oil can replace butter. Olive oil and mashed potatoes are a sublime combination especially if you use good extra virgin. Mix some garlic in olive oil over very gentle heat for about 10 minutes. Add this to the mashed potatoes instead of butter and season well. You can then add milk until you get the right consistency. If you like sweet red peppers, grill them, remove the skin and serve with a mixture of olive oil, salt, garlic and lemon juice. Simple, sweet and healthy. 7) I enjoyed the fact that your book An Olive Oil Tour of France had information, case stories and recipes. Were these your own recipes? Do you have a recipe you would like to share with us? Alice: No, I’m not that good in the kitchen. My good friend Madeleine, who runs the traditional Cooking in Provence School kindly, shared some of her favourites. Tomorrow I shall post the recipe for a Provencal style yoghurt cake made with olive oil and quince that Alice has sent me this week and it is delicious. 8) How would you explain that very unique French concept of ‘terroir’ and does it have a bearing on olives as well as wine? Alice: Although the olive oil regions are principally in the south of France, the soil and climatic conditions of these regions are not the same – Provence and Corsica for example have different soil content, and weather conditions – you can even add savoir faire to the list if we are talking olives. It’s the geographic and environmental conditions – the complex relationship - the terroir that will make the olive and olive oil from a region so unique. In my book I compare wine and olive oil; there are similarities yes, both rich with tradition and heritage provoking many discussions on production methods, health benefits and tastes. There are dissimilarities though. 9) If we are lucky enough to find an olive oil mill whilst we are visiting Provence do you recommend we stop for a visit? Alice: Most definitely. Olive oil mills, especially the old traditional ones which are slowly disappearing, are fascinating and all the producers I’ve met love telling a story or two. You get to taste oils, tapenades and other olive oil delights. If you can get to an olive oil fair, that’s even better. Alice: It would be a little hideout in Corsica. Corsica has always fascinated me – the wild beauty, the history, the people, their unique culture and yes, the beaches of the Mediterranean beauty. But my love for sea, sun and solitude would take me to the west coast. I would love to be able to escape to a little house near the Golf of Porto with a huge balcony where I could admire the Calanques, the bright red cliffs and rocks that plunge into the deep Mediterranean. Finally do you have any current projects you would like to tell my readers about? 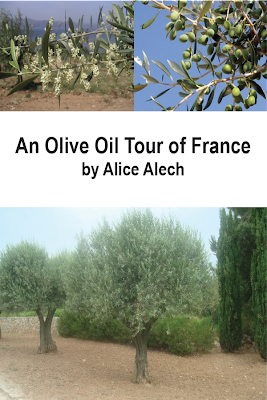 Alice: My short-term plan is to distribute An Olive Oil Tour of France in France. Granted, it is an unusual subject but if you live in France it’s good to understand why French olive oil is not on the middle shelf on our supermarkets, why extra virgin is so expensive and more than anything, to appreciate this little known product. Alice: Thank you Jacqui, for including me in France et Moi, and congratulations on your blog which is now one of my favourites, you write from the heart, all good all relevant. An Olive Oil Tour of France is available from Amazon as an ebook and also a small (69 page) paperback. So glad Kristin recommended you. I live part of the year in Southern France (Les Arcs sur Argens) and part of the year in the Midwest USA. Always homesick for Les Arcs when I am in the Midwest! Look forward to following you. Thanks KJ, must be nice to get the best of both worlds.